Dimension 6 x 5 x 2ft. Size 6 x 5 x 2 ft. The high walls and deep,Veera Jacuzzi Acrylic Hydromassage bathtub are the perfect compliment to its timeless, classic style. Its construction and the thickness of walls provide for excellent heat retention and durability. The premium heavy gauge, sanitary-grade precision acrylic and its color is consistent throughout – not painted on – and thus will not fade or lose its brilliance over time. This tub is designed for one or two person bathing, and is extra deep, perfect for a full-body soak. 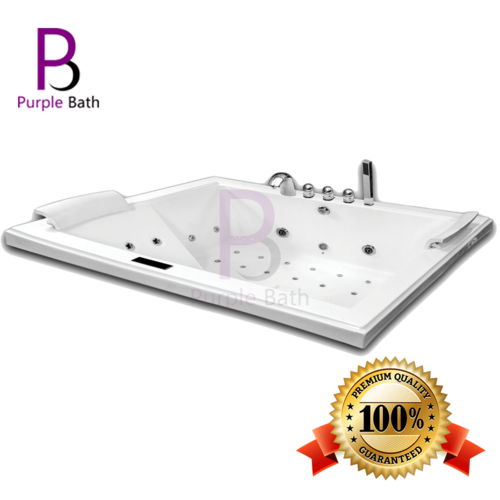 Furthermore, the Veera Jacuzzi Acrylic Hydromassage bathtub boasts an ergonomic form that fits to the body for ultimate bathing comfort.